You see a map that shows territory of Russia. interesting map of Pervomayskoye 1 cm to 1 km for you. free map of Korobitsyno calibrated presented. detailed map of Zubovo 1 cm to 1 km for gps. map of Zhuravlevo with gps calibration this. actual map of Yegorovo calibrated here. topographic map of Volochayevka with gps calibration download for free. map of Vladimirovo with gps calibration presented. 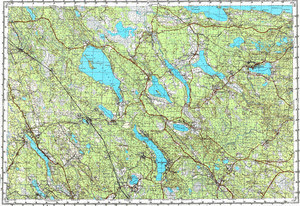 actual map of Vesikkala with gps calibration download for free. free map of Vekhmaynen presented. detailed map of Vasil'yevo и OziExplorer calibration for Garmin. topographic map of Tsvelodubovo download for free. actual map of Svetloye displayed. detailed map of Strel'tsovo 1 cm to 1 km presented. actual map of Starosel'ye 1 cm to 1 km free download. free map of Srednegor'ye with gps calibration displayed. topographic map of Sosnovyy Bor 1 cm to 1 km download for free. map of Solodovo 1 cm to 1 km here.